This article was originally published in relevant industry outlets across Belgium, France and Holland. 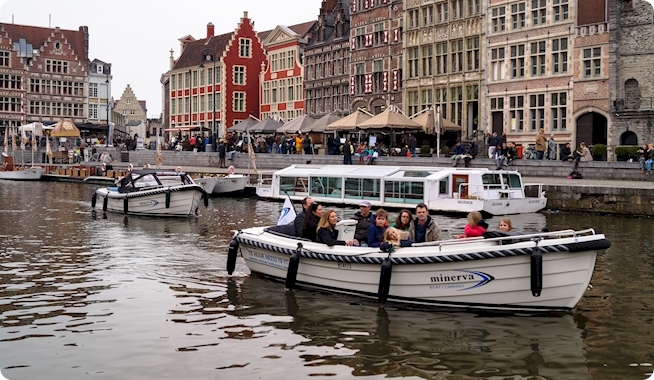 Kinesis, one of the world’s leading providers of telematics, is working alongside the Minerva Boat Company in Belgium to help improve the safety of tourists exploring the historic waterways of Ghent. Minerva has equipped their entire fleet of Cabrio boats and Luxury sloops with Kinesis GPS trackers. The move allows the company to now monitor the location of boats and guide users if they become lost along the way. The devices will help to establish and enforce ‘no-go’ areas with the use of geofencing and automatic alarms. Management will also have the power to collect evidence if a boat is returned damaged. With Kinesis, Minerva can accurately monitor the location of each boat from any internet enabled device. This allows staff to advise hirers on suitable routes and intervene if a boat goes off course or appears to be lost. Geofencing, using the GPS to create a virtual geographic boundary, combined with automatic alarms, gives Minerva the power to establish and enforce ‘no-go’ areas for safety reasons or to meet the conditions of hire. Tracking can also be used to collect essential evidence if a boat is returned damaged. 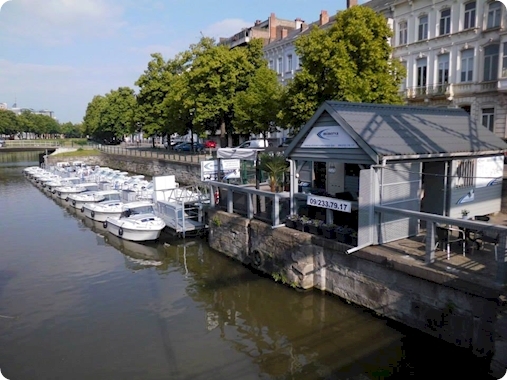 The Minerva Boat Company has been operating for more than twenty years and has established a reputation for value and overall experience, scoring on average 4.5 / 5 on TripAdvisor. The Minerva fleet includes 18 small boats, suitable for four adults plus one child, plus 8 luxury sloops that can accommodate between 6 and 12 people.